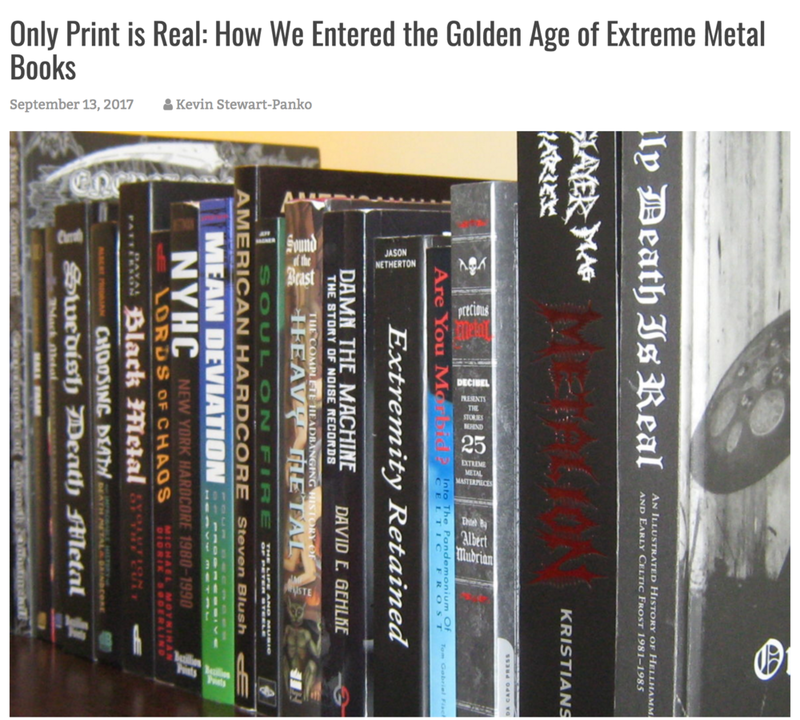 New article up on the website and in the recent print version of Decibel Magazine about the resurgence of historicization in extreme music. Some interviews in here by Tom G Warrior, Jason Netherton (of Misery Index/Asphalt Graves fame), and some tidbits here and there by myself. Decibel has always supported the label and the bands on it, reviewed new releases, written about things going on and have all around good people to us. To boot, this article is penned by Kevin Stewart Panko of Do You Have Anything to Declare? book that Vitriol released a few year back. Check it out. Older PostRepress of Gorlock "Purveyors of Violent Cinema Shirt"